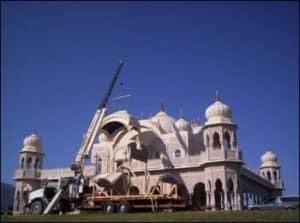 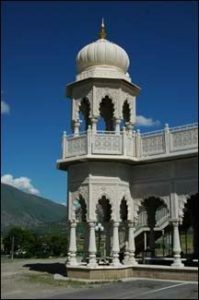 Krishna Temple Spanish Fork UT – Unlimited Designs, Inc. 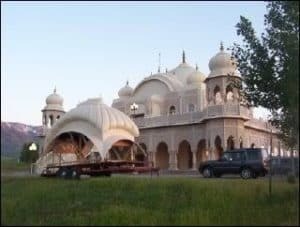 Situated on an elevated 15 acre plot in rural Utah, this 50′ high temple is modeled after a famous devotional palace in India called Kusum Sarovar (temple on a lake of flowers). 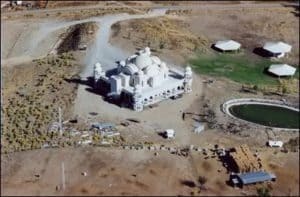 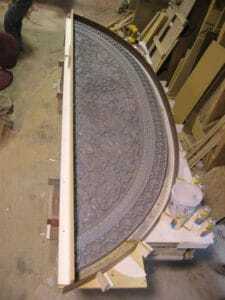 It has a main dome 25′ in diameter surrounded by 12 other domes. 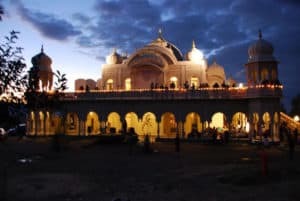 There are 108 arches and columns, sculptures, and murals, as well as open patios, colonnades, gardens, fountains and an outdoor stage and amphitheater that accommodate crowds of up to 5,000 at a time. 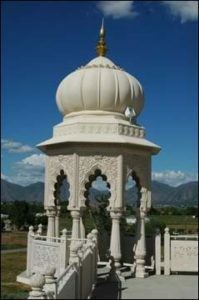 Unlimited Designs manufactured and installed all of the GFRC on the exterior of the building.